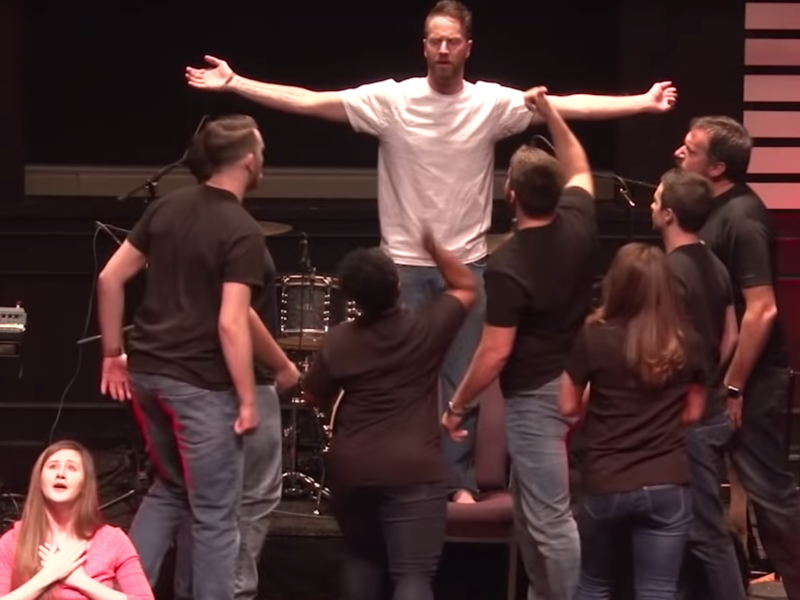 Watch this viral dance drama from Connect Church! In these present days where divorce, broken families and broken hearts are so prevalent, is there still hope for a happy life and successful relationship? Yes indeed there is, as you can see from the dance drama below from Connect Church, set to the words of Good Good Father, the beautiful song written by Pat Barrett and Tony Brown and originally released by Chris Tomlin. As you watch you will gain such a sense of God’s love for you. Many families today are broken as couples struggle to work out their relationships due to endless differences. This has such a disastrous affect on children, to the point of blaming themselves as the cause of these failures. Children feel they are unlovable because their earthly fathers fail to love them. As they grow up, the emptiness and pain they carry causes them to seek validation of their worth from other people. Afraid of making mistakes, they try and please others even to the point of losing their own worth. Having a relationship may feel like the solution to the void inside but it isn’t the answer. Neither is jumping from one relationship to another just to confirm one’s worth. However this is not where we find our worth. When we look we discover that God is there for us. A verse in the Bible states that “A father of the fatherless, a defender of widows, is God in His holy habitation.” (Psalm 68:5). He is there to show us the true love of a Father and to defend us. He is not far from us! Some think God is angry with them, and disappointed in their shortcomings and failures, However He is not angry with you, and you can approach Him at any time. He is God and we don’t need to prove anything to Him. We just need to be loved by Him. He proved His love for us by sending His Son, Jesus Christ. For all who are empty you can only be filled as you seek God. For all who are broken hearted you will find healing and the pain will go as you develop a relationship with Him. He is the perfect Father. Come and enjoy His presence.